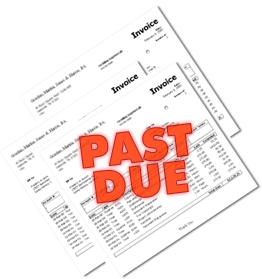 Collecting past due balances is an often uncomfortable but a necessary part of any business. The expression “Cash is king” is oft repeated and it’s true – without it your business dies. You’ve provided a service or product and you deserve to be paid. In this article, I want to provide you with some critical tips to help you increase your collection rates in a way that strengthens your bottom line and your legal case in the event your best collection efforts prove unsuccessful. It is a best practice to have your internal policies and procedures aligned with the action you’ve taken before a collection case moves towards litigation. This article must not be construed as legal advice so if you need help setting up your in-house collection program or help collecting on a past due obligation please contact me directly. You, whether you are the business owner, accounts receivable specialist, or collection manager, are in the best position to collect funds owed by your customers. And why not? You’ve provided the service, and pursuant to your agreement with the customer, you want to be paid. As your business grows, so does the complexity of managing accounts receivables. Collections is a process that involves multiple steps, deadlines, legal requirements, contracts, and people – to illustrate this point try mapping out your collections workflow to really want to understand how tricky the process can get – especially if it is only in your head. Accordingly, you should implement a clear process that you apply uniformly. Consistency, diligence and follow up is critical. First let me answer the question why? Why is it important to have a consistent and clearly defined proactive collection policy? There are a number of reasons but I’m going to focus on two: 1. Ambiguity delays collection and makes it harder – it’s an extra challenge to refute excuses for non-payment if confusion exists around terms and conditions; and 2. statistically, your rate of recovery plummets after 90 days and your cost of collection increases because now you have to share funds collected with an your collection attorney; time is your enemy. Here are some general statistics: Of ten new customers, six will pay on time, two will pay in 60 to 90 days and two will become collection problems. After 90 days, your in-house collection efforts drop by as much as 80%. You can picture your recovery efforts on a graph that looks like it’s rolling down a big hill. At the top, within the first 30 days, your collection rate should be very high. The longer the account remains past due, however, your rate of recovery drops in the next 30-60 days. Now picture this, after 90 days picture that hill turning into a cliff. I’m confident your collection experience reflects this reality. It is also important to know the reasons why customers don’t pay so you can take appropriate action. In general there are three. (1) Lack of funds. This is the primary reason statistically. (2) Dispute. Address customer disputes fairly and quickly. (3) Simple refusal to pay. If this is the case, seriously consider hiring a collections attorney. 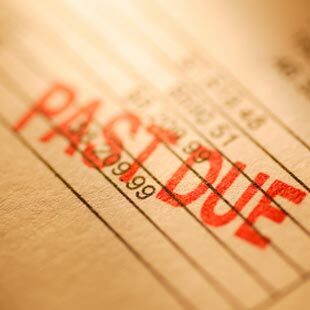 To address the critical issue of nonpayment, you need a process that you follow consistently and diligently. It’s always uncomfortable referring a case to a commercial litigator for collection, however, this is the reason why it’s so important to manage your customers’ expectations early. It’s much easier to say, collections is a procedure that you follow diligently, instead of “in this case” you have no choice but to refer a matter to collection. The “no surprises” rule is a great goal to minimize conflict and confusion, thereby increasing your rate of recovery. A “system” is a proactive series of steps that you follow, identified and defined in advance of the default that you or someone expressly delegated to the task will follow in pursuit of your receivables. The sooner you set this system up, the sooner you can stop reacting. As you business grows, you’ll find that reacting to a collection problem on a case by case basis will lose its effectiveness quickly and consume valuable resources – time and money. If done right, collections spans the entire customer lifecycle, from intake to close. It starts when you articulate what service or product you will provide, when and how you will provide it, and payment terms. Clarity up front is critical – and so is action. Terms and conditions are clearly displayed or included in your contracts. Your clients know that collection costs will be added to any past due balance. Your system includes routine reminders, follow-up phone calls, and statements. Someone in your organization has express responsibility to execute on your collection plan. You measure and track your collection efforts. What gets measured gets done. You are realistic. As difficult as it may be, an aging accounts receivable schedule suggests you must at a minimum consider severing your relationship or refer the matter for collections. Listen to your customers, good communication is critical in the sales and product or service delivery phase of the relationship, and the same holds true for collection. Pay attention to your customer’s cues that a payment problem might be coming. And try to avoid acting with emotion which can sometimes turn a relationship adversarial fast. A clearly defined, articulated, and followed collection process actually prevents relationships from souring.